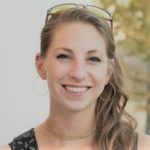 Jill joined CDRPC in 2017 as a Sustainability Planner and works with communities around the region to implement the goals and objectives of the Clean Energy Communities program. Prior to joining CDPRC, she worked as a Planning Technician for a county in Colorado. She’s a graduate of Union College and the University of Colorado, Denver.